One of the challenges, but also sometimes the frustration, of letterpress printing is that you can only use the type that you have available. Even if they would have fired up their Monotype or Linotype machines just for this workshop, that wouldn’t have helped with type this size. 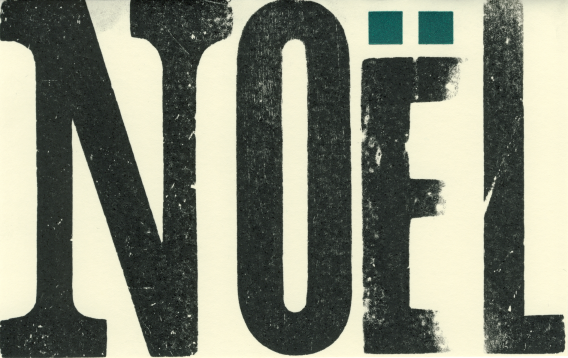 The ‘N’ was, literally, just lying on top of a cabinet, the ‘O’ and ‘L’ were from one type case, and the ‘E’ was from another. The ‘E’ was particularly worn, which is why it fades into nothingness on its right edge, but it was the only ‘E’ of that size. 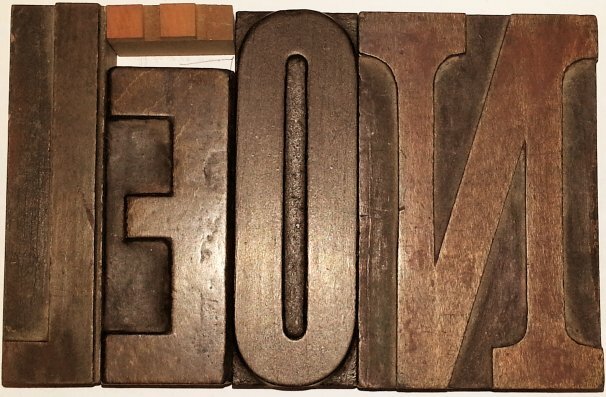 I doubt that there was ever a wooden ‘Ë’ that size in use in Ireland, and there certainly isn’t one now at the National Print Museum, so the diaeresis, ‘¨’, is faked from the colon, ‘:’, from a smaller size font. Happily, the diaeresis/colon could be done in a second colour on a second run through the press, otherwise I would have had to find some other way to fake it. The second colour also relieves the monotony of all that black ink.